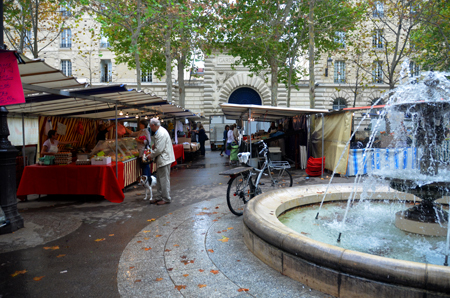 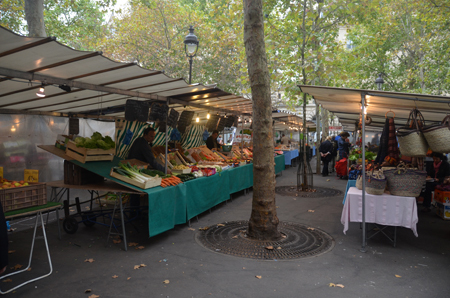 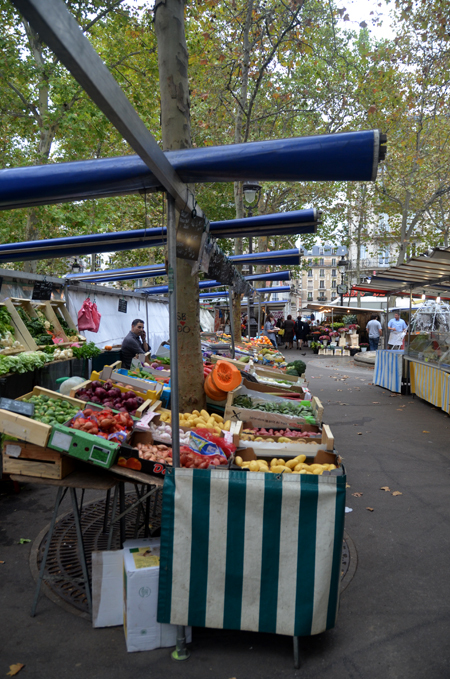 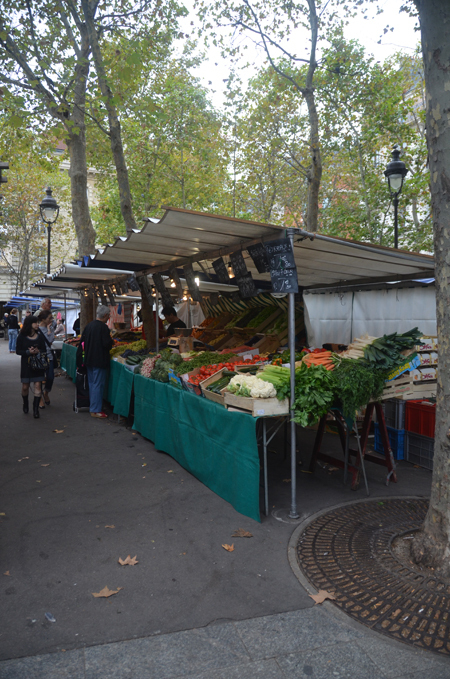 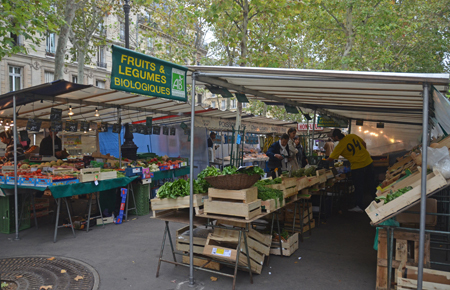 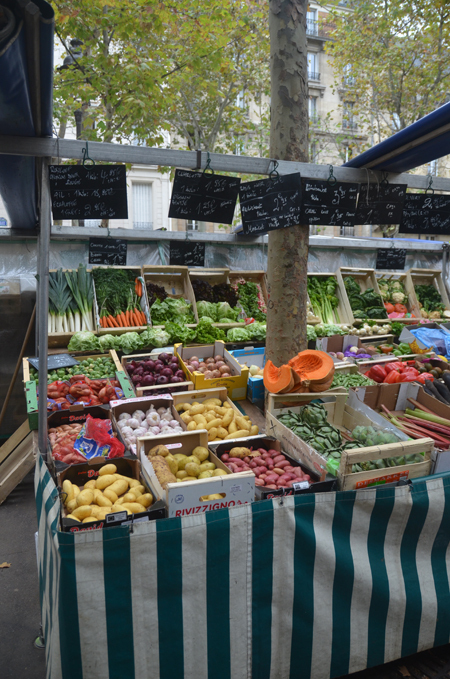 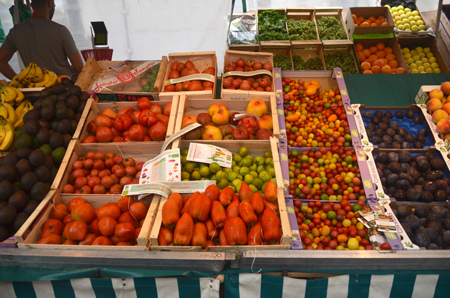 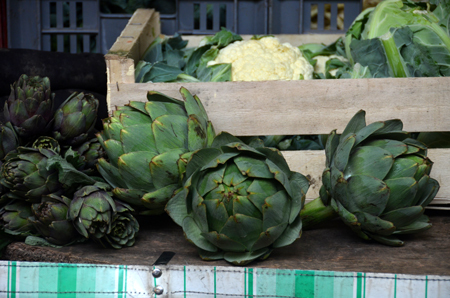 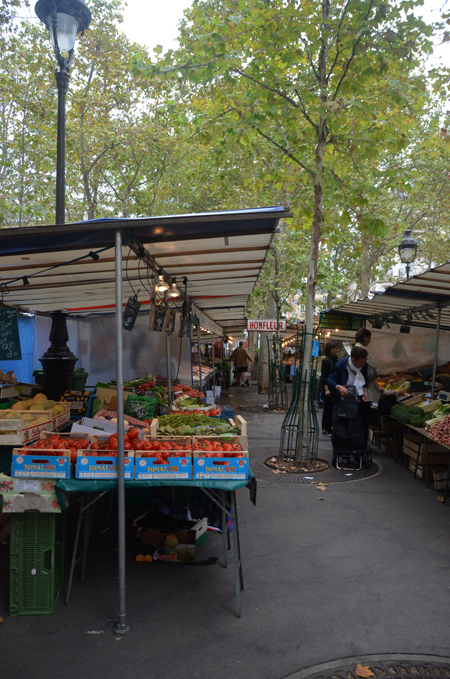 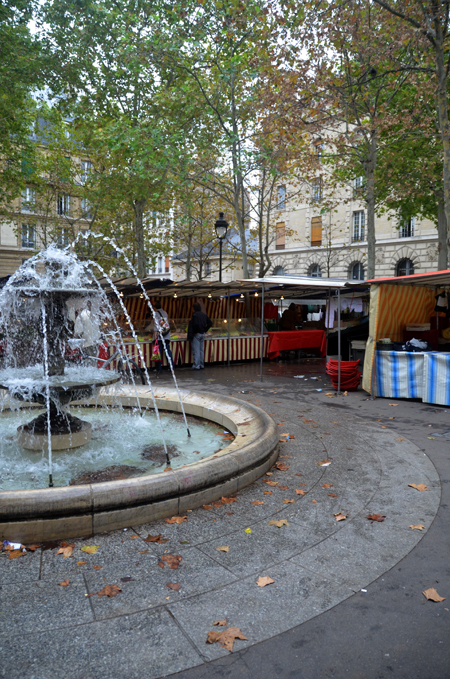 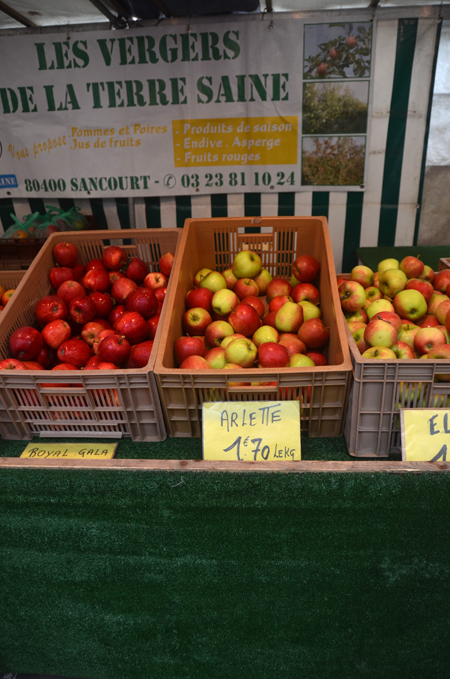 You'll find this market conviently nestled around the Place Monge Metro and is open Wednesday, Friday and Sunday. 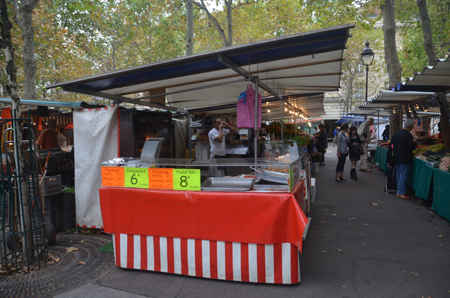 and the stalls sit comfortably around and in between a grove of tall, slender trees - it is a picturesque market. 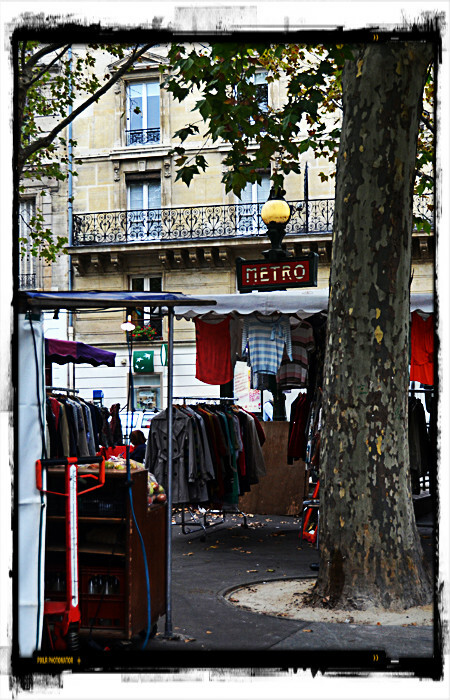 You do feel like you're having a market in the middle of a forest. 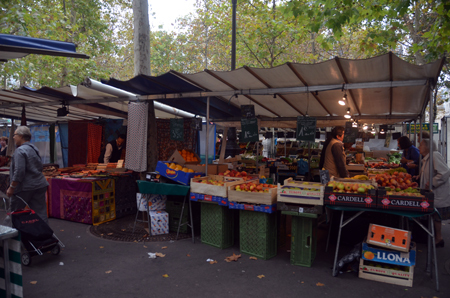 There are organic stalls here. 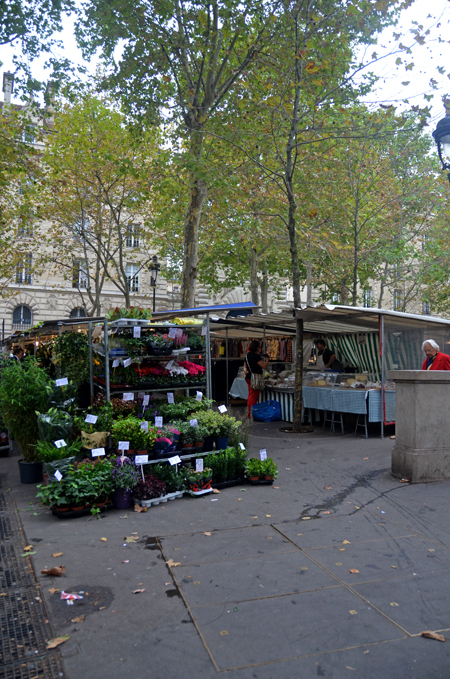 you'll always find s a plant and flower stall too. 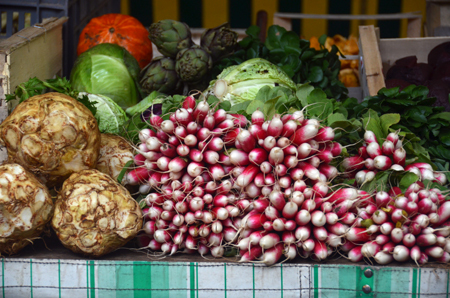 The breakfast radishes are particularly good at the moment. 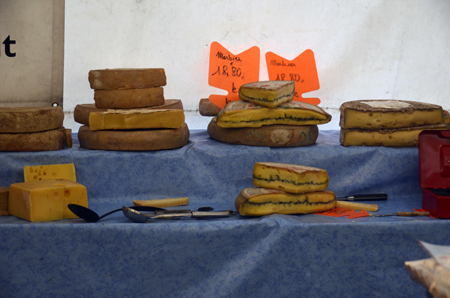 The cheese at this stall was quite surprising- it looked a lot more "mature" and I hate to say, not very appetising.